The Individualized Education Program (IEP) is a federal law, part of the Individual with Disabilities Act. The IEP must be written at least annually for all children with disabilities. 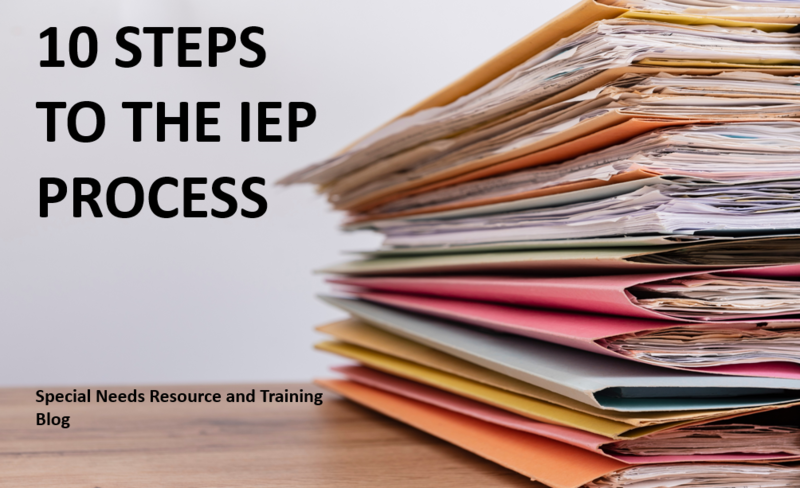 Below are the following steps to an IEP. Step 1. Child is identified as possibly needing special education and related services. Referral or request for evaluation. A school professional may ask that a child be evaluated to see if he or she has a disability. Parents may also contact the child’s teacher or other school professional to ask that their child be evaluated. This request may be verbal or in writing. Parental consent is needed before the child may be evaluated. Evaluation needs to be completed within a reasonable time after the parent gives consent. Step 2. Child is evaluated. The evaluation must assess the child in all areas related to the child’s suspected disability. The evaluation results will be used to decide the child’s eligibility for special education and related services and to make decisions about an appropriate educational program for the child. If the parents disagree with the evaluation, they have the right to take their child for an Independent Educational Evaluation (IEE). They can ask that the school system pay for this IEE. Step 3. Eligibility is decided. A group of qualified professionals and the parents look at the child’s evaluation results. Together, they decide if the child is a “child with a disability,” as defined by IDEA. Parents may ask for a hearing to challenge the eligibility decision. Step 4. Child is found eligible for services. If the child is found to be a “child with a disability,” as defined by IDEA, he or she is eligible for special education and related services. Within 30 calendar days after a child is determined eligible, the IEP team must meet to write an IEP for the child. Step 5. IEP meeting is scheduled. tell the parents that they may invite people to the meeting who have knowledge or special expertise about the child. Step 6. IEP meeting is held and the IEP is written. The IEP team gathers to talk about the child’s needs and write the student’s IEP. Parents and the student (when appropriate) are part of the team. If the child’s placement is decided by a different group, the parents must be part of that group as well. Before the school system may provide special education and related services to the child for the first time, the parents must give consent. The child begins to receive services as soon as possible after the meeting. If the parents do not agree with the IEP and placement, they may discuss their concerns with other members of the IEP team and try to work out an agreement. If they still disagree, parents can ask for mediation, or the school may offer mediation. Parents may file a complaint with the state education agency and may request a due process hearing, at which time mediation must be available. Step 7. Services are provided. The school makes sure that the child’s IEP is being carried out as it was written. Parents are given a copy of the IEP. Each of the child’s teachers and service providers has access to the IEP and knows his or her specific responsibilities for carrying out the IEP. This includes the accommodations, modifications, and supports that must be provided to the child, in keeping with the IEP. Step 8. Progress is measured and reported to parents. The child’s progress toward the annual goals is measured, as stated in the IEP. His or her parents are regularly informed of their child’s progress and whether that progress is enough for the child to achieve the goals by the end of the year. These progress reports must be given to parents at least as often as parents are informed of their nondisabled children’s progress. Step 9. IEP is reviewed. The child’s IEP is reviewed by the IEP team at least once a year, or more often if the parents or school ask for a review. If necessary, the IEP is revised. Parents, as team members, must be invited to attend these meetings. Parents can make suggestions for changes, can agree or disagree with the IEP goals, and agree or disagree with the placement. If parents do not agree with the IEP and placement, they may discuss their concerns with other members of the IEP team and try to work out an agreement. There are several options, including additional testing, an independent evaluation, or asking for mediation (if available) or a due process hearing. They may also file a complaint with the state education agency. Step 10. Child is reevaluated. At least every three years the child must be reevaluated. This evaluation is often called a “triennial.” Its purpose is to find out if the child continues to be a “child with a disability,” as defined by IDEA, and what the child’s educational needs are. However, the child must be reevaluated more often if conditions warrant or if the child’s parent or teacher asks for a new evaluation. This entry was posted in 6-22, Chidren/Teens, Children with Special Needs and tagged IEP. Bookmark the permalink.